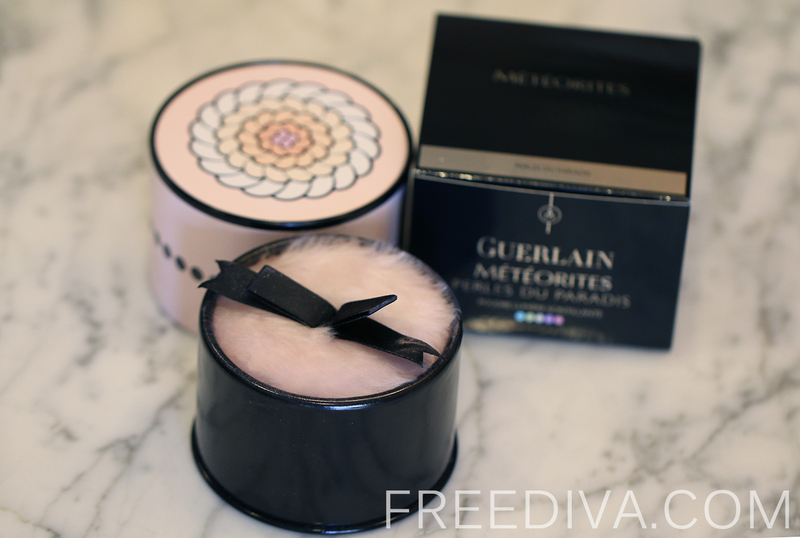 Not an item of make-up necessity, but rather an item of luxury, Guerlain’s Meteorite Powder have remained popular for decades. 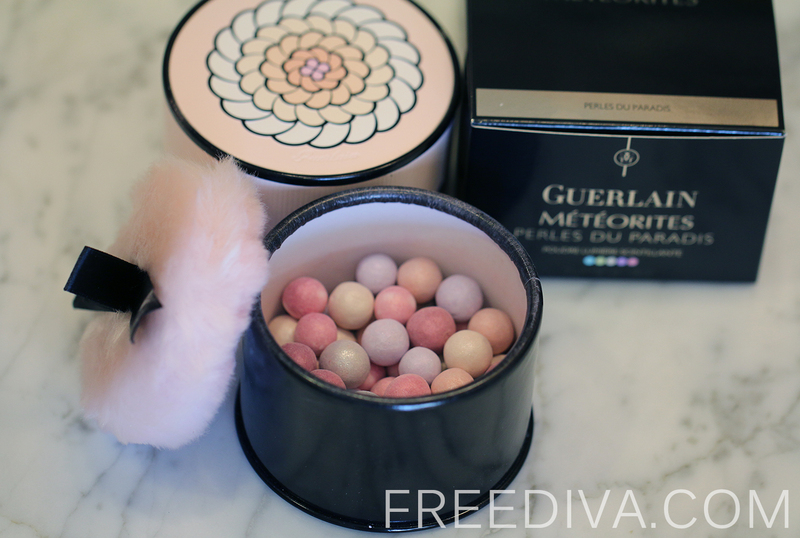 In addition to three basic shades, Guerlain releases at least two limited edition or seasonal Meteorites that rival each other in a variety of shades and creativity of packaging. 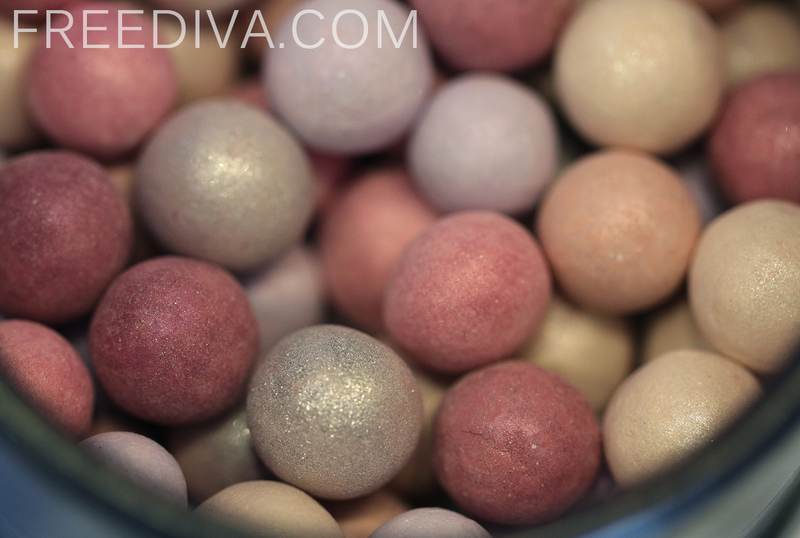 This Spring Summer 2014, Guerlain’s limited edition Meteorites are called Météorites Perles du Paradis. The uniquely packaged sparkling illuminating powder is designed to create an angelic complexion, by illuminating the skin with an angelic halo. 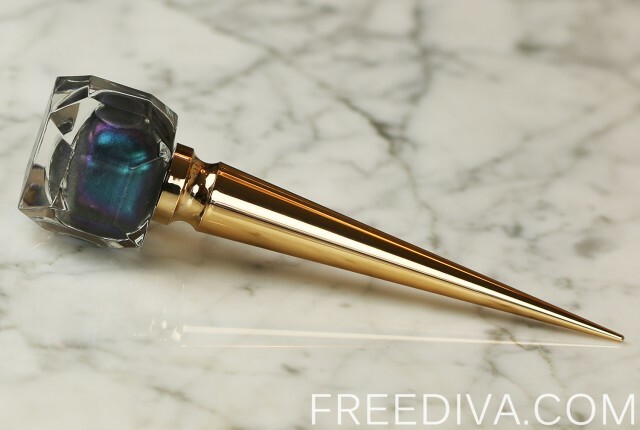 The brand’s legendary Meteorite Powder Pearls come in a limited edition XXL size and do, in fact appear larger than regular meteorite pearls that everybody is so familiar and in love with. 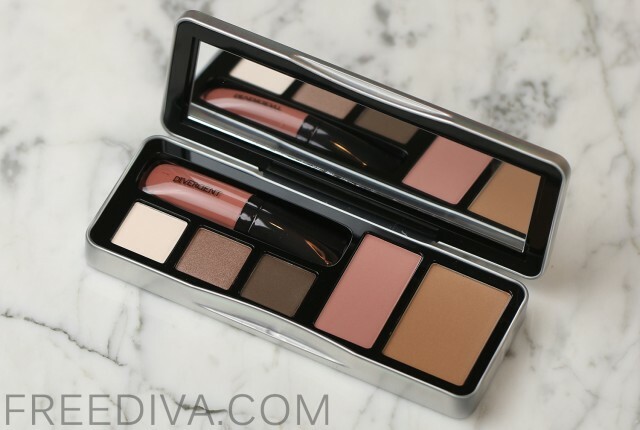 The selection of six wonderful complexion-enhancing monochrome shades of neutral flesh tones and soft pastel pinks is highlighted with with powdery and sparkling silver notes. 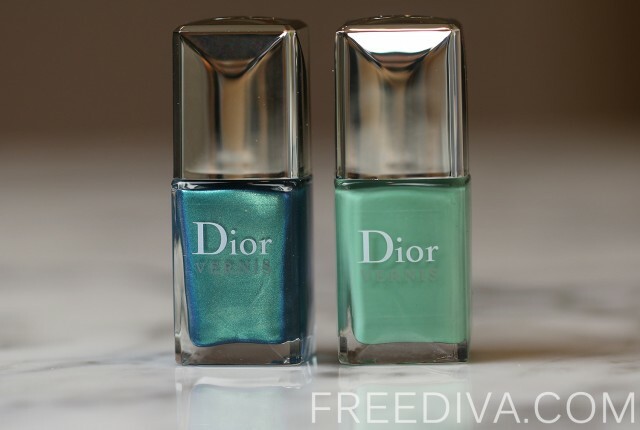 The traditional correcting cool colors of blue and green have been replaced in this limited edition powder by pink to help brighten dull areas and precious silver pearls that allow to reflect ambient light and create a uniquely radiant and one-of-a-kind glow. 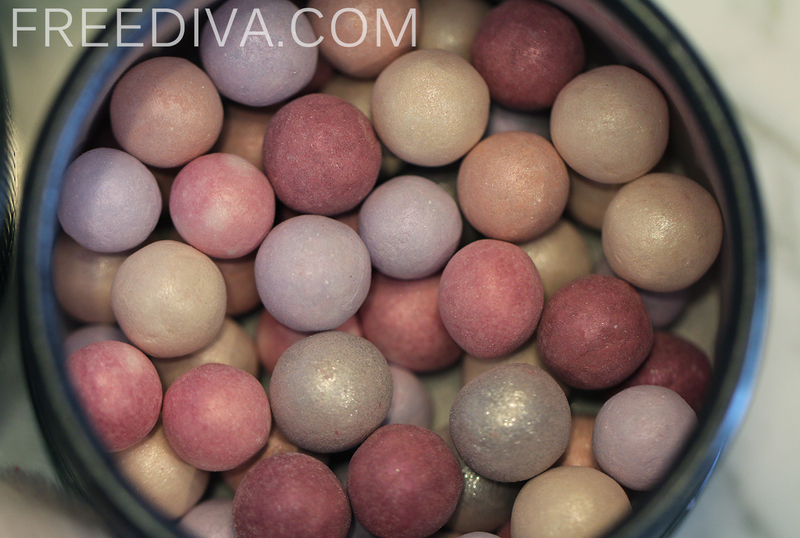 The Météorites Perles du Paradis are perfect for every skin tone.When brushed over foundation, blush and bronzer as a finishing powder, I have noticed how it lights up the face adding subtle shimmer and giving the complexion a revitalizing boost. 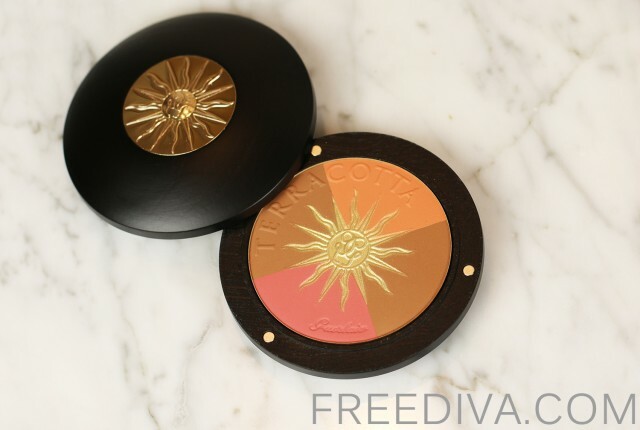 I’ve used it both day and evening and was really impressed to discover that the complexion transformation effect of the powder was visible both under natural and artificial bright and dim night light. 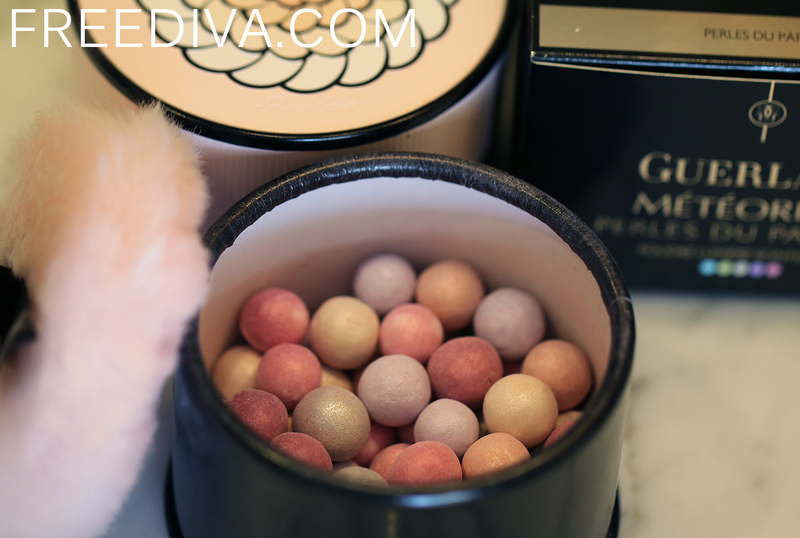 The Météorites Perles du Paradis illuminating sparkling powder is suitable for face, neck and décolleté, which makes it a perfect product to apply on the skin when wearing more open special occasion, cocktail and evening dresses, which gives the skin a beautiful radiance. 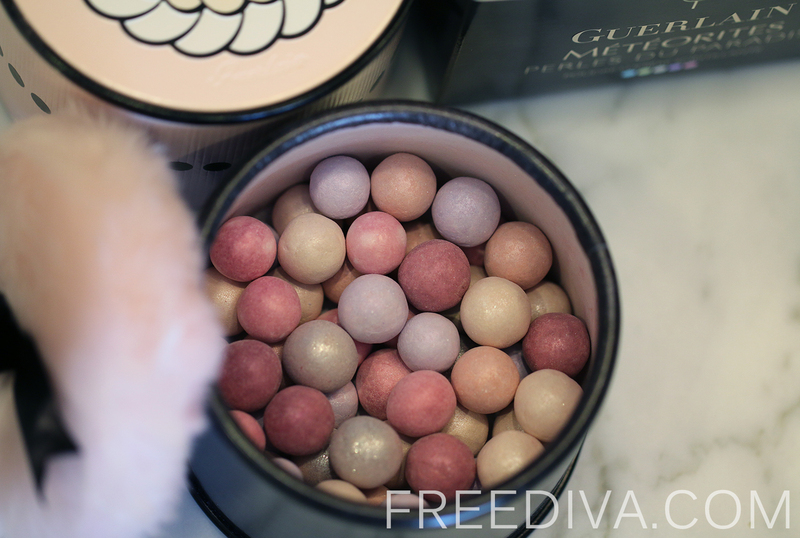 Similar to other Guerlain Meteorite Pearl, the Météorites Perles du Paradis powder is delightful both for the eyes and the senses. 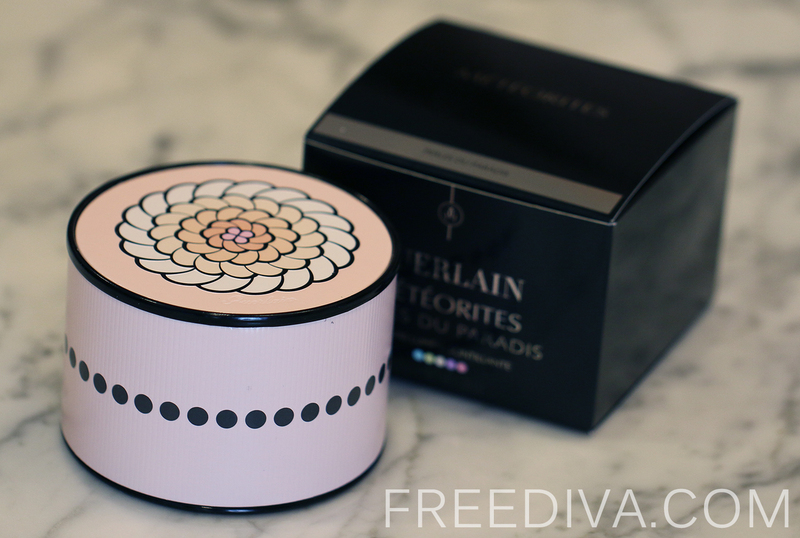 I love the so-called crackling sound the pearls make when I sweep my brush inside the container, while the inimitable delicate violet scent of the Météorites Perles du Paradis powder reminds of itself with every waft of the warm Summer breeze. The only disappointment was the container that is not made of a flimsy pink colored cardboard, which is surprising for a luxury product at this pretty high price point. 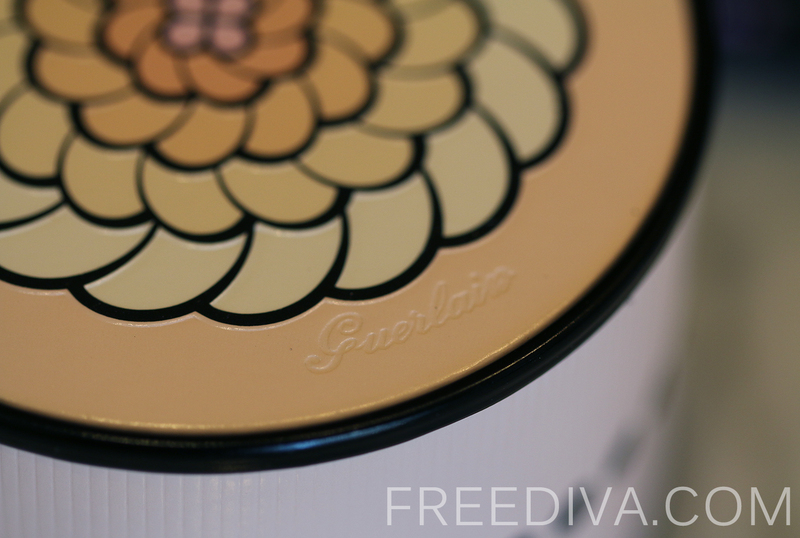 Also, as all Guerlain Meteorite Pearl powder lovers keep constantly mentioning, the container comes half empty. 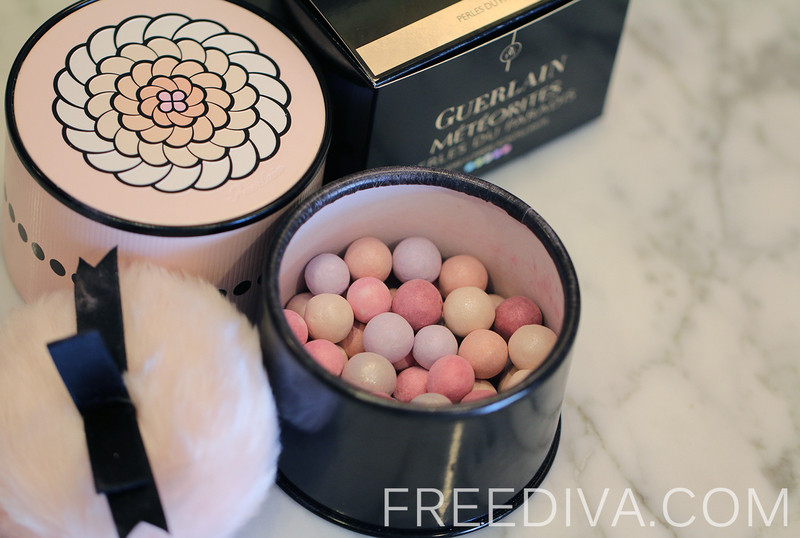 I don’t see the necessity in sacrificing the space to hold the low quality useless pink puff, which I cannot use simply because it does not do the job and because Guerlain already created a wonderful Météorites Brush in a variety of colors that ideally complements its pearl powders. 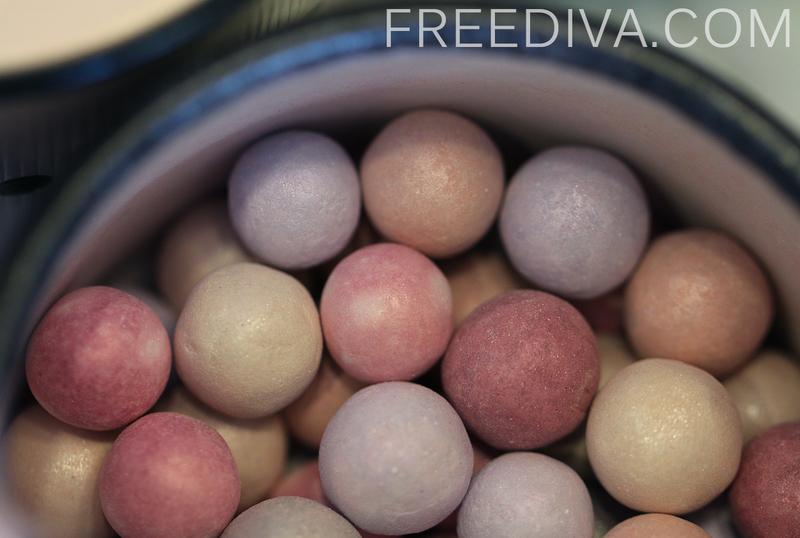 Unlike puffs and sponges that are always included with Meteorite Pearl Powders in order to justify the half empty container, the Meteorites Brush is ideal and had a perfect density for taking up just the right amount of powder. 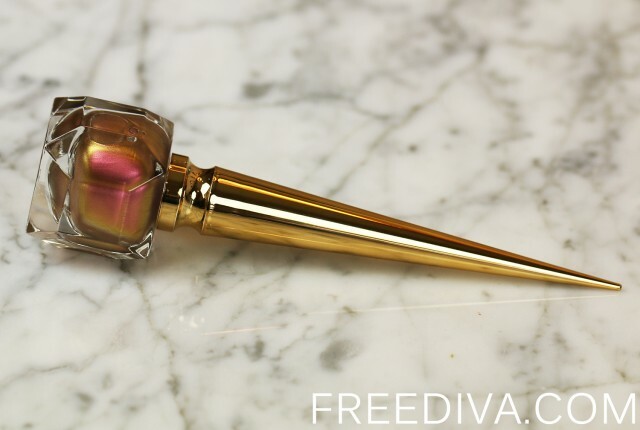 The brush allows to apply the powder evenly all over the face to set make-up and improve its hold by mixing all the different shades into separate color harmonies, and creating a genuine veil of perfection for any skin tone. 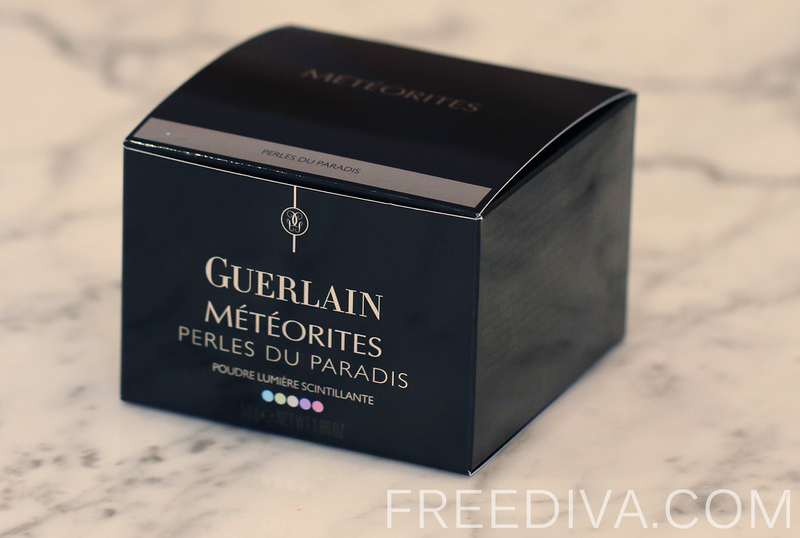 I think, the Météorites Perles du Paradis is a unique limited edition product, but because of its cheap looking packaging and a rather miniscule amount of pearls included in the container, is not worth the money and I could do just as fine with my box of regular Meteorites Pearls.